Basics of sailing is an introduction to sailing, intended for beginners who either do not have enough time for a full course or just want to make sure that sailing is the right activity for them. 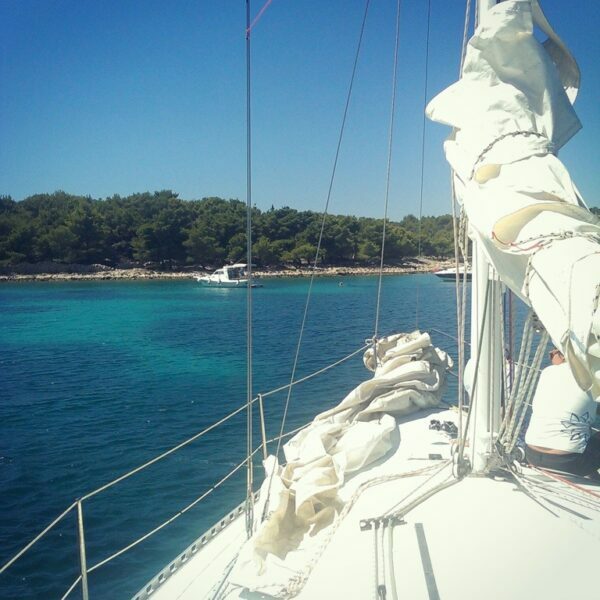 In three days of sailing activities, you will find out that this lifestyle provides action, challenges, fun and socializing in the beautiful surroundings of Croatian coast. Power of the wind, the perfect simplicity of the sails and the unpredictability of the sea will take you back to the forgotten, but primal relationship with nature. 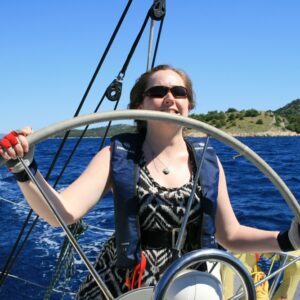 Beginner Sailing – who is this course made for? 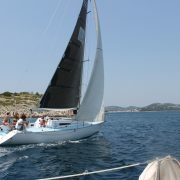 Beginner sailing course is a course for beginners who have never sailed before and want to spend few days vacation actively. For those who are not quite sure that the sailing is the right activity for them. And of course, for those who can have only a few days off. In 30 years of our existence and experience, we have gained the trust of thousands of participants. Many of them come regularly every season. Some have become sailing instructors. And almost all of them adopted sailing as a lifestyle. Whether you are an individual who wants to learn sailing skills or a family who want to actively spend a holiday together, we’ll ensure that you want to come back. Why with us? Please check our answers to frequently asked questions. It’s easy to learn the basic theory from our handbook before sailing out. The handbook is in Croatian and in English. After getting to know the theory, it’s time to sail out and apply your newly-learned skills. Our professional instructors will lead you thru the learning process, while at the same time you are going to enjoy friendly environment, meet new people and have some fun. You will acquire new skills like basics of steering, sail handling, participation in daily routine work on the boat; sailed miles 70 NM (approx). You will fall in love with the sailing, the sea and the wind, so you can join us in full basics of sailing course or even coastal sailing and cruising. You’ll start by learning the names of parts of the sailboat in English. You’ll learn the basic movement directions of the sailboat, how to set up the sails, where does each crew member exactly have to be and when. You’ll learn which sails there are and when to use them, trimming the sails according to the wind. What about some rest during the day? 1 pm – 2 pm is your daily rest time. 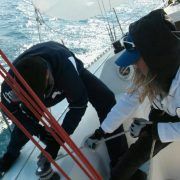 During this period, you’ll learn how and where to anchor the sailboat. During the summer, you can use this time to swim, and during the winter, to rest from the hard work. Learn to sail with us! If you are interested but not quite sure that sailing is the right activity for you or if you can’t take more than three days off, or you are simply lonely at home, than this short course is the right choice for you. If you are adult (aged 16 to 18 with parental written consent), if you have swimming skills and readiness for physical activities, if you want to learn sailing, meet new interesting people, enjoy friendly environment, please join us on this beginner sailing course! During the season we publish other dates of this program, don’t miss it! Subscribe! Participants who are accommodated onboard are required to check in on announced day at 6:00 pm. Official start of the course is next day at 8:30 am. Departure is scheduled in the afternoon of the last day, unless you have selected one of the additional programs; in that case the departure is next day afternoon. 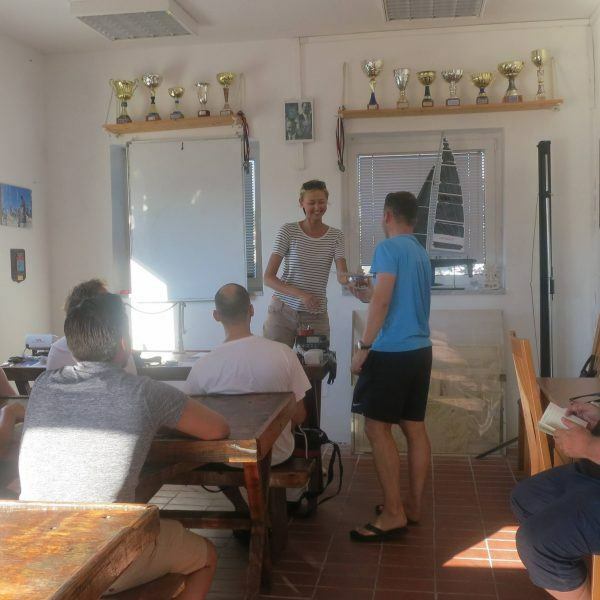 All participants get a certificate as a recognition of participation and a logbook as a record of acquired skills, nautical miles sailed and weather conditions. The daily plan is subject to change depending on the current weather conditions and the forecast. Sailing gloves, two pairs of non-slip shoes or sneakers, T-shirts and long sleeve shirts, short and long pants, strong sunscreen, a cap or a hat, sunglasses, towels, personal hygiene items, bathing suit, towels, mosquito repellent. If you are sailing during colder months or if you are accommodated onboard, please bring a warm waterproof jacket, pants and a sleeping bag. Please remember to bring personal medications if required. Must have items onboard every day: adequate clothing and footwear, sunscreen, personal medications and other personal items, bottle of water, lunch packet. Price range per person depending on the date. Please, use the booking system above to get the exact price, the system calculates EUR price based on the current exchange rate. sailing program, an instructor, booklet, logbook, berth in base marina, fuel, VAT. meals, accommodation on the mainland or onboard, tourist tax, arrival and departure costs, parking fee, travel insurance. Simple accommodation onboard is subject to availability. To book, please contact us, or call us +385 51 711 814. The symbolic price of the accommodation onboard for 3 nights is total 150 Kn (approx.total 20 EUR). The price includes bed linen, tourist tax and VAT. Basics of Sailing – Beginner Sailing. Start sailing! Basics of sailing course is designed for anyone who has always, whether because of other people’s tales, or simply by watching “the lucky ones“, felt that the wind, the sails and the sea can provide truly unique satisfaction and joy. This cannot be described by words, it simply must be experienced. To sail or not to sail? That isn’t a question. Because you don’t have to sail but it’s necessary. We can see that on your faces when wind fills up the sails and yacht starts going forward. The only thing that reminds you you’re not flying is the sound of the sea under a yacht. 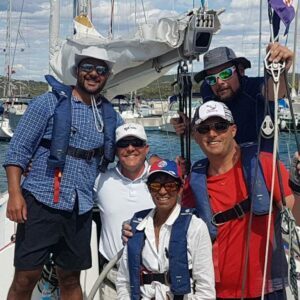 Discover other connections between sailing and flying on the RYA Competent Crew course for the beginners. Contact ANA Sail. Get Help via Email or Phone.